Vitamin C is a prime ingredient of collagen, the substance that binds cells together. Collagen metabolism and production is are key attributes of healthy, radiant, younger looking skin. Collagen ingredients and ingredients that promote collagen production are widely used and advertised in body and skin care products. Collagen, in fact, depends on vitamin C, which implies the vitamin’s importance to healthy, attractive skin. Stable collagen production fights wrinkles, and ensures evenness in the skin’s tone and texture. Vitamin C’s function as an antioxidant also benefits the skin, as it is able to protect the skin from damaging free radicals. Sun exposure, smoking, strict diets or stress oxidize the skin and make it lose its brightness. With the passing of time, it becomes dull and the first wrinkles appear. energy C is a cosmeceutical line with high concentrations of vitamin C, that has been formulated to respond to the first signs of chrono and photoaging. Osilift: Ingredient obtained from oats, with immediate tensor properties. Cumulative effect for the treatment of fine wrinkles and expression lines. Vitamin E: Powerful antioxidant. Protects the skin from harmful effects of UV radiation. Improves tissue micro-circulation. Energising cream formulated to respond to stage 1 signs of aging in the particular area. Its high vitamin C concentration exerts a cumulative action against eye rings that gradually removes the signs of tiredness. The existence of plant tensors, collagen synthesis stimulants and restoring elastic fibre’s provides moisturising and tonicity, counteracting the appearance of the first wrinkles in the eye contour. Organic Silicon: Enhances moisturising and regeneration of elastin fibers. Prevents the formation of free radicals. Elastin: Improves skin elasticity and is moisturising. Effective against expression lines. Four weeks of intensive antioxidant, moisturising and tensor treatment. It stimulates the skins ability to protect against free radicals,keeping it in a state of eudermia. Ultra concentrated vitamin C (10%) is encapsulated in the protective cap to keep its properties unaltered until it is used. Once vitamin C has been released, store the serum in the freezer and use for seven consecutive days. Each bottle corresponds to one week of treatment . To keep the skin in optimum conditions, it is recommended to repeat the treatment every four months. Osilift: Tensor of plant origin with anti-wrinkle properties. Vitamin E: Improves skin nourishing and elasticity and provides a response to fine wrinkles and expression lines. Apply the contents of one pipette (1 ml) at night onto the face, neck and neckline using a gentle circular motion until it is fully absorbed. 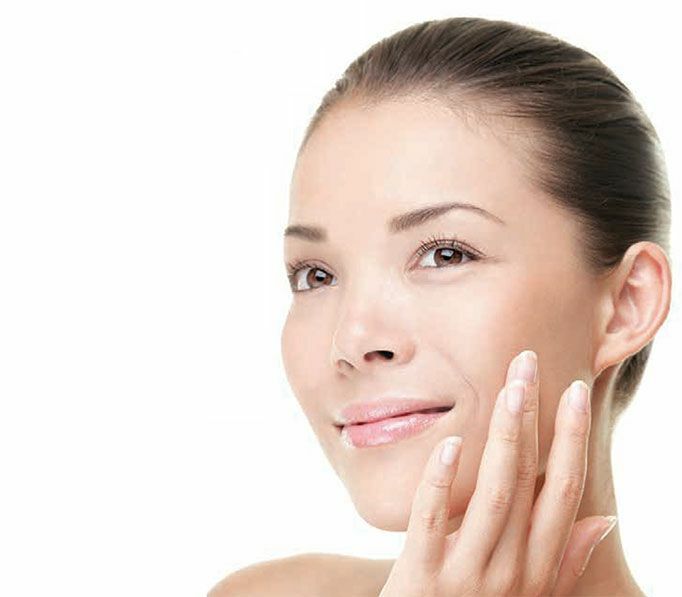 Collagen is the main component of the fundamental substance of the dermis. Both skin firmness and tensile strength depend on collagen synthesis. However a collagen synthesis reduction occurs over time increasing the facial volume loss. Collagen is a cosmeceutical line with high concentrations of enriched marine collagen that has been formulated to reverse the chronological collagen loss, improving skin elasticity thanks to its redensifying, firming, and tightening action. Collagen has the characteristic of being assimilable both by the topical (OUT) and by oral route (IN). · It maintains the main amino acid profile of natural collagen: glycine-proline-hydroxyproline. · This is associated with retinol and ascorbic acid, which, in addition to regulating the activity of degradation enzymes, stimulates the formation of new collagen. Retinol: Enhances cell renewal, unifying the skin tone. Ascorbic Acid: increases the number of elastic fibres and active fibroblasts, improves the quality of the extracellular matrix. Last generation cream particularly designed for the treatment of signs of periocular aging. It stimulates fibroblasts to synthesise connective tissue components (collagen I, III, IV) and polysaccharides (glycosaminoglycans and hyaluronic acid). Its tightening active substances smooth out the eye contour and noticeably reduce wrinkles, stimulating collagen regeneration. Contains exclusive interferential pigments that reduce the rings under the eyes and signs of fatigue. Matrixyl: Small endogenous peptides acting as cell messengers. Argireline: Anti-age hexapeptide reducing the depth of wrinkles. Aloe Vera: With excellent moisturising and stimulating properties. Oats extract: Tightening ingredient with immediate effect. Pour collagen 360 solution onto a capsulated mask up to fill the blister pack. Once the capsulated mask is expanded repeat the procedure. Deploy the mask and apply over the clean, dry skin. Time of application: 15 minutes. Repeat the treatment 2-3 times a week for 4 to 6 weeks. Drinkable nutricosmetic specifically formulated for skin firming and wrinkle reduction. Its biomassimilable ingredients act in the outermost layers to nourish the skin from the inside. By re-establishing the skins metabolic balance and enhancing the biosynthesis of its ingredients, collagen 360 elixir acts as a complement to the use of cosmeceutics. Each bottle contains 10g of hydrolysed collagen. It does not show any adverse events; it is digestible and assimilable by the body. It does not contain any fats or cholesterol. It is recommended to take one daily dose of one bottle at night, the first 6 days of each month for three months. The treatment can be repeated twice a year. Skin stem cells are the direct precursors of the cells found in the different dermal layers. With the passing of time, its activity slows down: the skin loses its capacity for renewal, resulting in lack of tone and deep wrinkles. Stem cell is a cosmeceutical line with high concentrations of plant stem cells that has been formulated to reverse cell regeneration slowing down, strengthening the connective tissue structure and improving skin quality and texture. The plant stem cells extract contained in stem cell have revealed its ability to effectively protect and reactivate our own dermoepidermal stem cells, carrying out a strong anti-aging and anti-wrinkle effect on the skin. Regenerative cream that combines the action of plant stem cells extract with that of growth factors to achieve skin restructuration from inside the cell. Growth factors are small fragments of biologically active proteins that belong to the cytokine group. These are key elements to intercellular communication and external control of cell reproduction mechanisms. This can attract and guide the cells to the site where they are needed, and are involved in the generation of new cells by cell division. Dexpanthenol: Stimulates fibroblast function strengthening the structure of the skin support matrix. Matrixyl: Combination of small synthetic peptides that act synergistically stimulating dermal matrix repairing processes. Lipochroman-6: Last-generation antioxidant and cell protector. Hyaluronic acid: Natural polysaccharide that performs a support function for collagen and elastin fibres. Able to retain a thousand times its own weight in water.